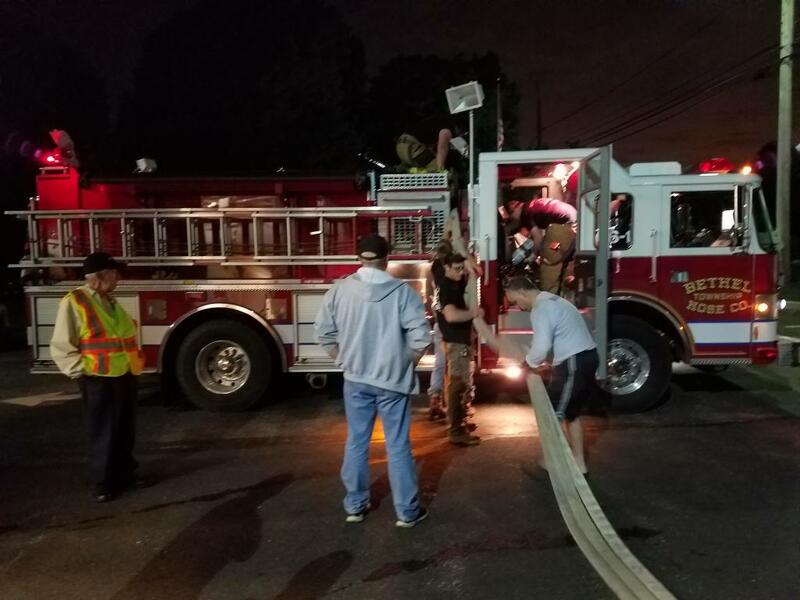 Saturday evening May 5th around 7:30pm as Engine 66 was returning from a brush fire call on Zebley Road the company was dispatched to the 2000 block of Foulk Road for a trash fire. While enroute Engine 66 was advised several calls were being received including calls of exposure issues. With reports of exposure issues Captain 66 (M.Natrin) requested Concordville and Boothwyn (who were returning from a prior call) be added to the response. Engine 66 arrived with a large scrap pile and boat involved, secured their own supply line and placed a 1 ¾ hose line in service. Bethel units were committed for 1 hour before returning to station to clean and restore equipment. Thank you to Concordville (59), Boothwyn (40) and the Bethel Township Police Department for their assistance.